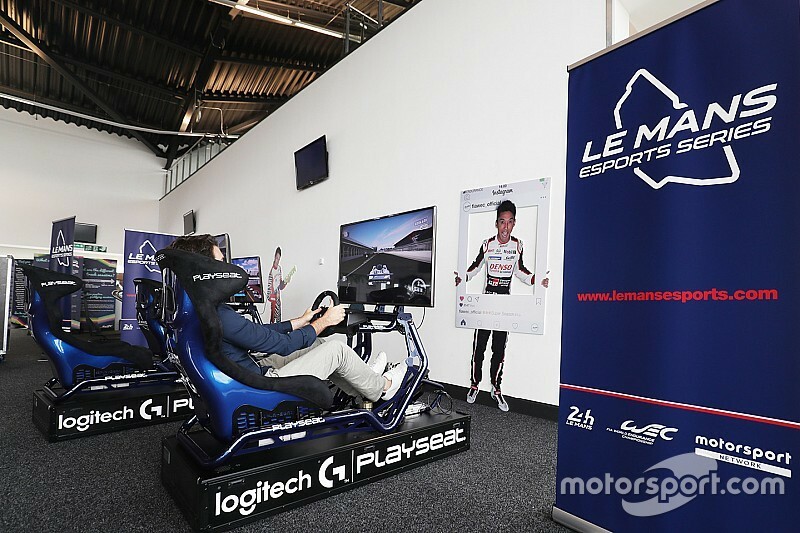 Silverstone, UK - 18 August 2018: Registration for the Le Mans Esports Series (LMES), a joint initiative by Motorsport Network and the Automobile Club l’Ouest (ACO), has officially opened following this afternoon's LMES press conference. Winners of the ground-breaking esports series will have a chance to secure a spot on the 2019 Le Mans 24hrs podium and a share of the $100,000 prize pot. In order to have a chance at appearing alongside the real-life winners on one of the most iconic podiums in motor racing, players can either enter individually or form a three-driver team and race their way through the qualifying rounds and into the live Super Final, which takes place ahead of the big race at Le Mans in June 2019. Pierre Fillon, President of the Automobile Club de l’Ouest, said:“The 2019 Le Mans 24 Hours will be outstanding! Not only will our race be the culmination of the FIA World Endurance Championship Super Season, we will also be hosting the Super Final of the Le Mans Esports Series, which starts today at Silverstone. Stephen Hood, the Head of esports at Motorsport Network, said: “We anticipate that competitors looking for an edge will look to the feature of team-based endurance racing, unique to the Le Mans Esports Series and esports in general, and utilise a team manager and strategy director. This provides new ways to access esports without ever having to become an elite driver, allowing all to engage and have fun competing in events such as our Le Mans Esports Series. Location: Online, and Offline at Fuji race. There will also be an additional ONLINE event in the run-up to the Le Mans Super Final – this will not be a qualifying round, but a chance for everyone to test their mettle against this iconic race circuit. Full details of the qualification process and registration for both professional sim racers and amateurs to compete in the opening season using Forza Motorsport 7 on the Xbox platform can be found here.